NEW RECIPE: It takes less than 30 minutes and just a few basic ingredients to make this easy pasta fagioli soup from scratch. 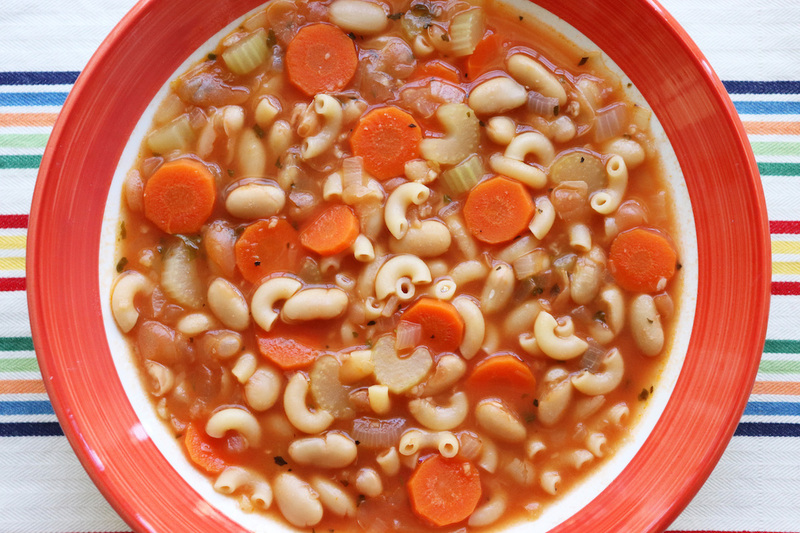 Cannellini beans and ditalini pasta are traditional for this popular Italian soup. I use canned cannellini beans but I can never find ditalini so I use a different small pasta, DeCecco small elbows (no. 81). For the tomato, I use Pomi Strained tomatoes that come in a box. Once opened, I freeze 1/2 cup portions specifically to have on hand for this delicious soup. One box gives me six 1/2 cup portions. I also use my own homemade chicken stock (there’s always some in the freezer) but you can use store bought stock. I thicken the soup by dividing the beans in half and mashing one half with a fork, which takes less than a minute and I focus on the broken ones for mashing (the whole ones look better for serving).